December 4, 2018 | By Amy Occhipinti, M.S. Thanks to your passion for nutrition, you may already be fielding questions from friends, colleagues, and family members about how to make better meal choices or the ways that nutrition can boost well-being on multiple levels. At this point, you may be ready to turn your interest into an actual career—and fortunately, you’d be choosing one that’s on a growth track. The Global Wellness Institute, a research firm focusing on areas such as healthy eating, fitness, and anti-aging efforts, notes that wellness is a $3.7 trillion market. Of that, $648 billion is nutrition. But how do you get started? The first step is to determine if becoming a certified nutritionist feels like the right path for you. Here’s what you need to know when considering that career track. Registered Dietitian: This position requires a bachelor’s degree. Coursework typically includes food and nutrition sciences, food service systems management, business, economics, computer science, sociology, biochemistry, physiology, microbiology, and chemistry. Registered dietitians (RDs) and registered dietitian nutritionists (RDNs) must also complete an accredited, supervised practice program at a healthcare facility, food service corporation, or community agency. Clinical Nutritionist: This specialization focuses on providing medical nutrition therapy, usually in a healthcare setting. Some registered dietitians become clinical nutritionists (CNs) in order to do more work in the medical field, but it's also possible to be a CN without first getting an RD degree. 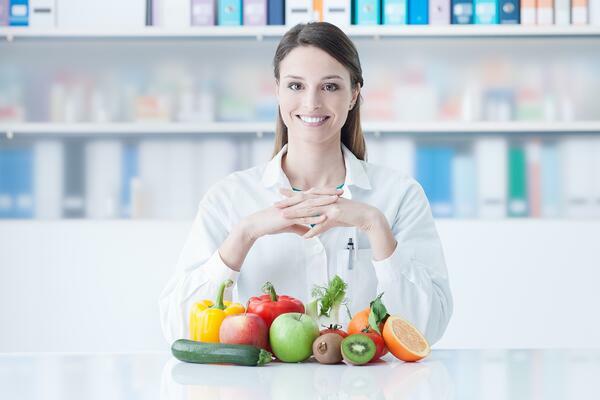 Certified Nutritionist: Those who want to provide nutritional counseling within a more accelerated time frame (and on a more affordable basis) may want to consider becoming a certified nutritionist. The certification allows you to give educated nutritional guidance that might include developing nutritional plans for individual clients, creating workshops that can be presented at schools or companies, and providing support to groups with specific goals such as weight loss or disease management. Nutritionist: This is the most loosely defined term, perhaps because anyone could feasibly call themselves a nutritionist without any coursework at all. Seeing clients would be another matter, however, because laws are very specific regarding what type of certification standards you need to dispense nutrition advice. Specific rules can vary by state, especially when it comes to who can dispense nutrition advice that’s geared toward treating certain medical conditions. For example, in Minnesota, it's legal for professionals in a wide array of professions—including chiropractors, fitness trainers, acupuncturists, and herbalists—to give nutrition advice. The state does caution that there may be limitations on insurance reimbursement eligibility when seeing these types of professionals for nutrition plans. But North Carolina has stricter regulations around which professionals can offer nutrition advice. Before you begin practicing and taking on clients, be sure to review the latest rules in your state, since they can change without much public notice. The next step toward becoming a certified nutritionist is to review what skills the profession entails. Obviously, a passion for nutrition is a must, but that’s only the start of your educational path, especially if you plan to start your own nutrition business and take on clients. With these three major components, you’ll be able to provide optimal nutritional advice in a way that fuels your business. With certifications like these, you can address the needs of specific groups while still learning the foundational knowledge you’ll need to advise anyone about optimal dietary habits. When you’re ready to take the leap to become a certified nutritionist, take time to compare certification programs to make sure you’re choosing the best fit for you and your interests. Unfortunately, not all programs are equal when it comes to the quality of the program and the breadth of resources available for those getting certified. Cost: This includes not just the amount for the certification itself, but also for any travel involved in a program, fees to renew certifications, and the costs of any exam and study materials. Accreditation: This means an outside agency has evaluated a program to verify that it meets the criteria needed for certified nutritionists to operate in ways that are professional and informed. Not all certification programs are accredited, but choosing one that has gotten that approval can open many more opportunities for you. Coursework: Be sure that you’re about to learn what you feel will set you up best to become a certified nutritionist. You need nutrition basics, but also comprehensive education about how to work with clients, do assessments, and provide meaningful advice. Course time frame: Options range from studying and completion at your own pace to adhering to a strict schedule with a specific end date. The best option will be the one that works for you. Some people enjoy the flexibility of setting their own course schedule, while others might feel more disciplined by having preset due dates and a firm completion date. Think about an approach that you feel will fit best with your needs, especially if you’re currently employed and/or have family obligations. What sets a great certification program apart from others is that it fits with your career goals, your learning objectives, your schedule, and your budget. A great program should make you excited for the next big step into a new career. What are the Responsibilities of a Nutritionist?